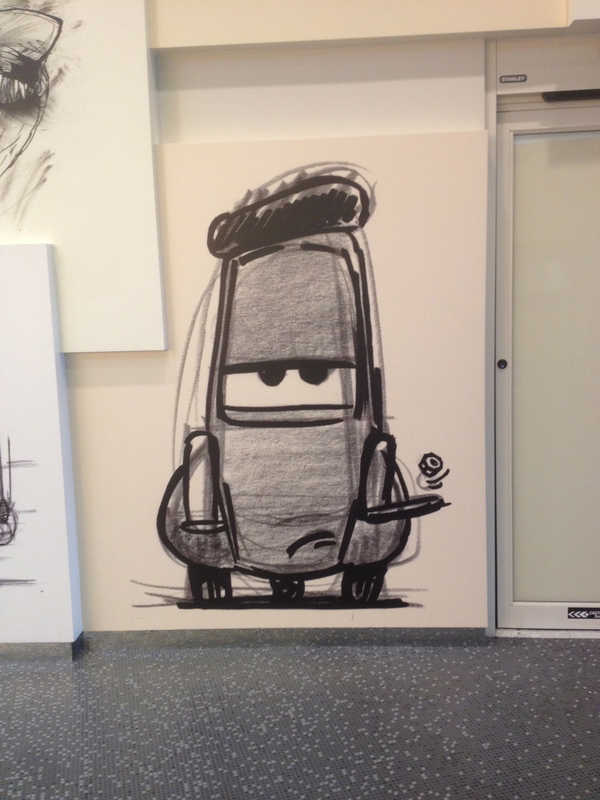 Disney’s Art of Animation Resort | Terri Bomb! We returned from Florida a couple of days ago and had a marvelous time, but sadly I’m sick as a dog, presumably from touching something that some sticky flu-ridden person had touched before me. It was unseasonably humid for October (or so we are told) and there were days that it was just painful to me. On the upside, EPCOT’s Food and Wine Festival was insanely fun. It was exciting trying out food that I might not have tried otherwise and most of the food, but not the wine or other adult beverages, is considered a snack if you have the Disney dining plan (and OMG, did I mention there was WINE too!). We had some great experiences and met some really awesome people. One night we cancelled dinner and just went from booth to booth trying this and that. France and Ireland were real stand outs for me. China had this nomm-able steamed bun with Mongolian beef that had just the right amount of heat to it. Tom, not surprisingly, stayed close to anywhere that served taco’s. 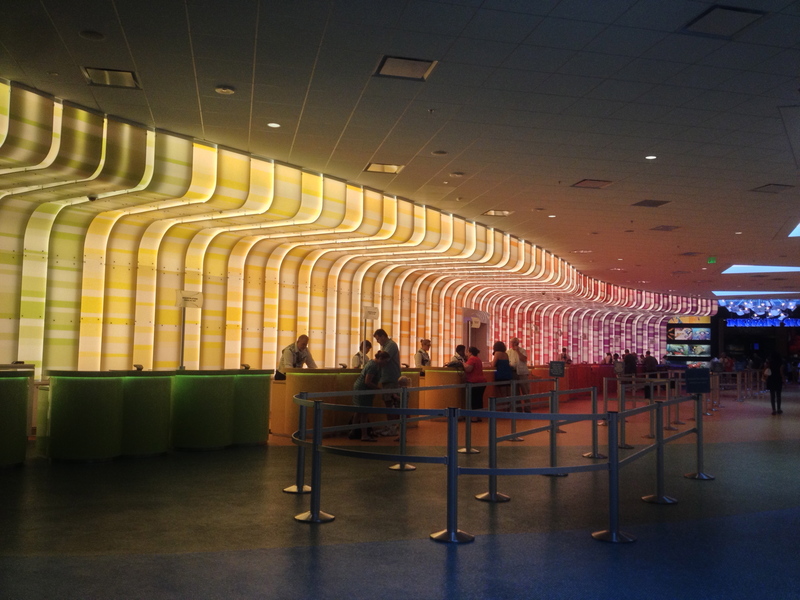 We stayed at Disney’s Art of Animation Resort (DAAR) and it’s A-MAZE-ZING!! So cute. The Cast was awesome. The theming and show are better than anything Disney I’ve ever experienced. As a CM myself, I was totally jealous of their spiel and will be stealing what I can! 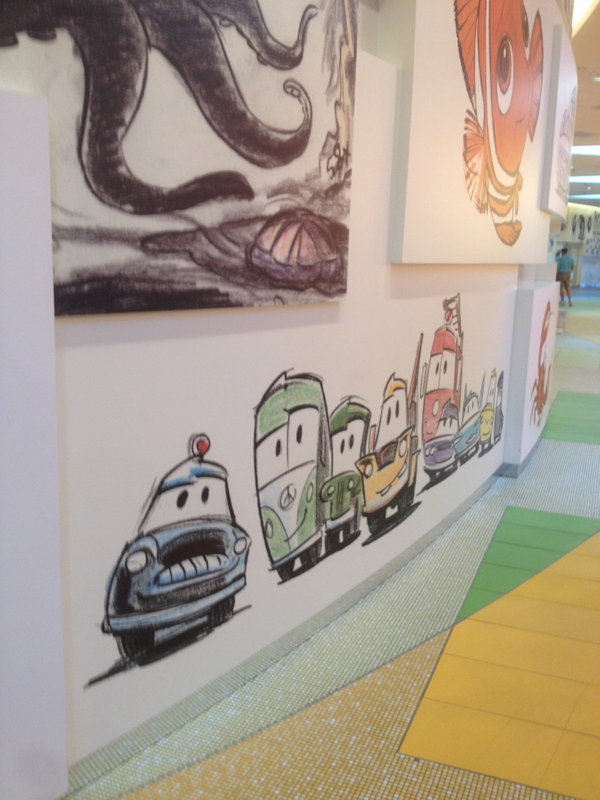 We stayed in The Casa Della Tires building in the Cars section and I loved it. For those of you thinking of staying, make sure that regardless of which section you stay, walk the entire property, as each section is highly themed both inside and out. 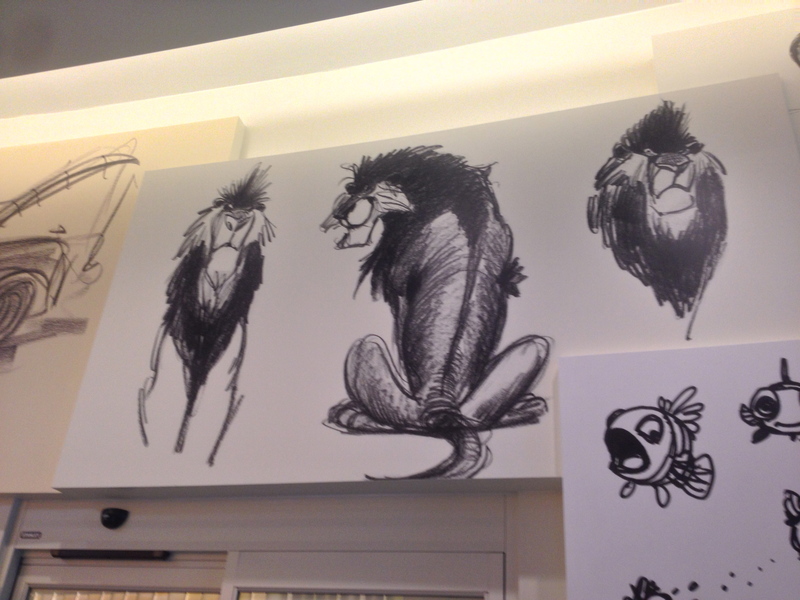 DAAR is 3/4 Family Suites; Cars, Finding Nemo and Lion King. 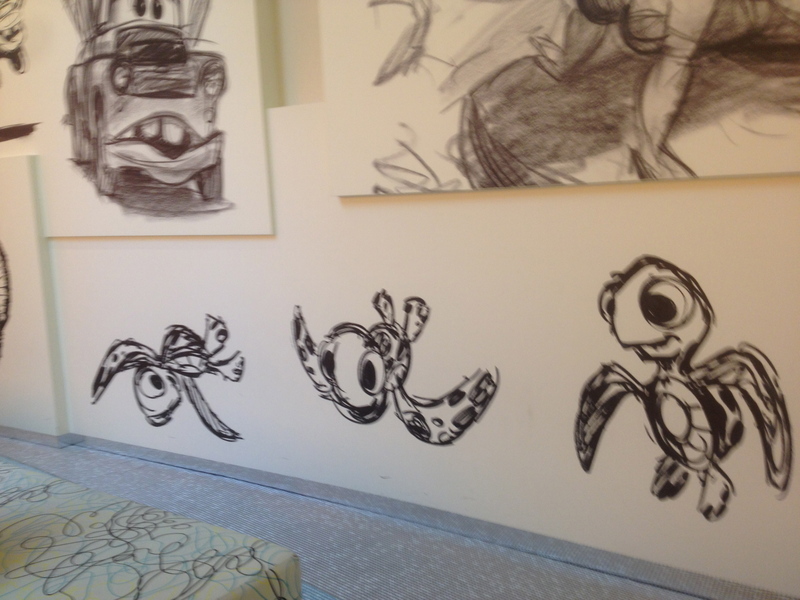 The other 1/4 are standard rooms themed to Little Mermaid. There are 3 pool areas The Big Blue Pool and it’s companion bar “The Drop Off” are just behind the main building that includes the Lobby, The Ink & Paint Shop and The Landscape of Flavors (DAAR’s fast casual dining location). The Cars section has its own pool themed to the Cozy Cone. The pool is a little less busy but much smaller. You walk down Rt. 66 to get to your building (and watch your speed because the sheriff is out and about!). 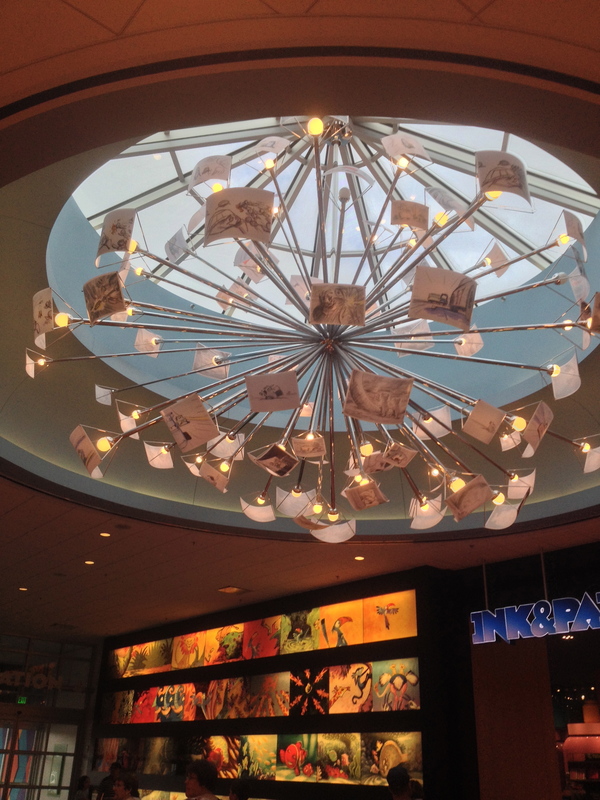 You may also run into Ramone, Flo, Sarge or Fillmore (my personal favorite!). Lightning McQueen & Sally, Mater and Luigi and Guido are stationed outside of their own buildings. The Lion King section has the Elephant Bone Yard, Simba, Scar and many more. It has no dedicated pool, but is halfway between the Big Blue and Little Mermaid Pools. It’s also the absolute closest walk to the resort bus stops, if that’s important to you (not that anything is terribly far away). The Family Suites come with a small fridge (that is slightly bigger than many resort hotels seem to offer) a microwave and a selection of disposable plates, cups and utensils. At the risk of sounding like an advertisement, getting a suite here for the price of a standard room at a moderate resort,it was totally worth it. I’d stay there again!